There's always something to do in the city of Orlando. Let's be honest, similar to free food and drinks, something about free attractions in Orlando makes the experience that much more sweet. Experience Orlando on a budget and try a few of these FREE things to do in Orlando. Your wallet will thank you. A beautiful, natural landscape in Downtown Orlando perfect for hikes, biking, sports, and much more the natural attraction in Orlando is a true sight to behold. 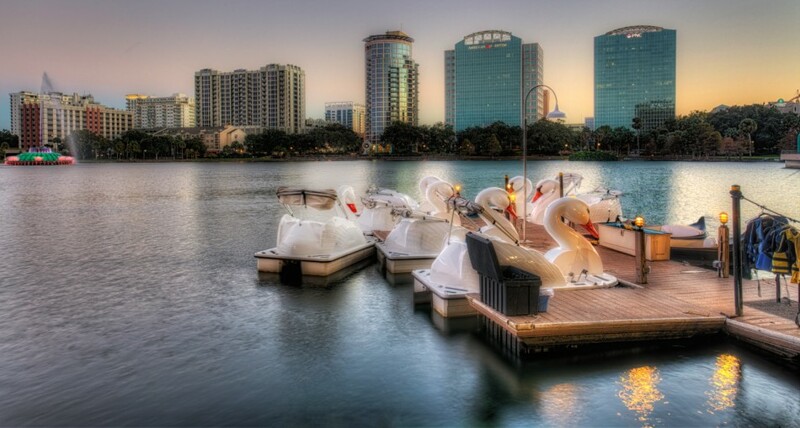 Many enjoy the mile-long stroll around the scenic Lake Eola. If you don't mind spending a few dollars, the swan boats are only $10. A Downtown Tradition, The Orlando Farmer's Market is the perfect way to spend your Sunday. Stroll and browse the many local wares and fare lining the lake. Avoid the high price of the theme parks in Orlando and peruse the world-class restaurants, dazzling entertainment, and unique shops lining the waterfront at Disney Springs. 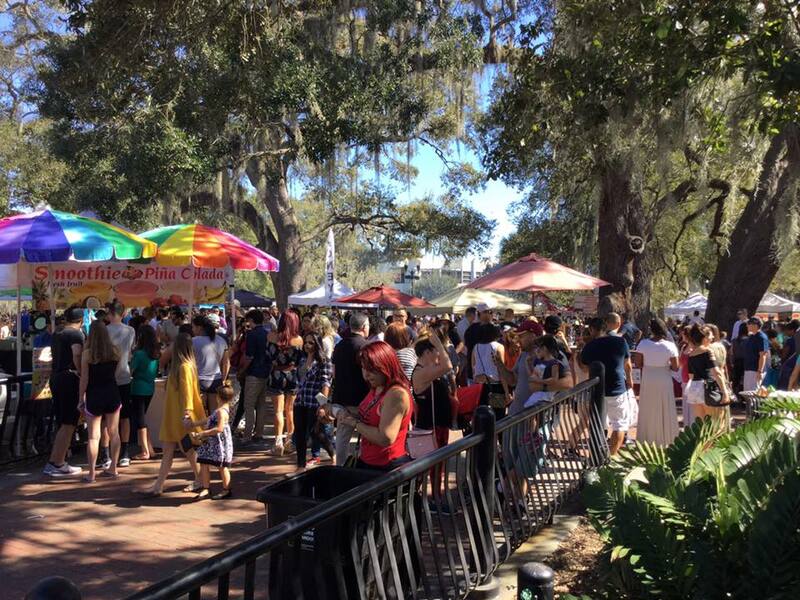 The Winter Park Farmers’ Market is held at the old train depot, located at 200 West New England Avenue, that has been restored into a historical landmark that hosts this NUMBER ONE produce and plant market in the city. Universal Citywalk is where unforgettable family fun meets restaurants that don't just make you say "Yum," but "Wow." There is plenty to see and do here without having to step foot into the major attractions. Best part....it's free to get in. Leu Gardens is a beautiful reserved area full of nature and other wonderous botanical items in 50 Acres of wonderful tour. Starting in June entry is FREE on Monday. 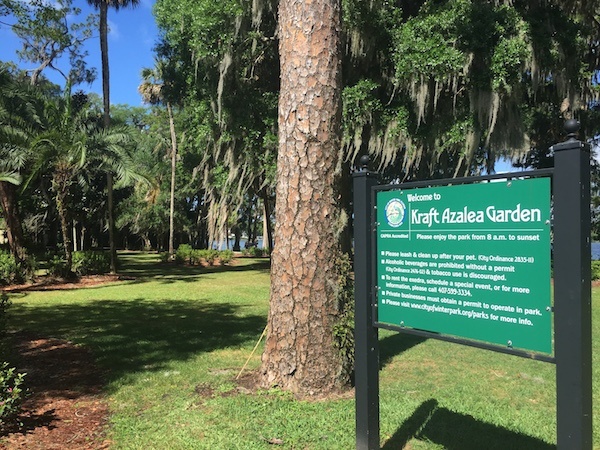 Kraft Azalea Park is a scenic public park located in the city of Winter Park, Florida just north of Orlando, Florida. Pack a picnic and spend the day outside. Nature is the original FREE attraction in Orlando. 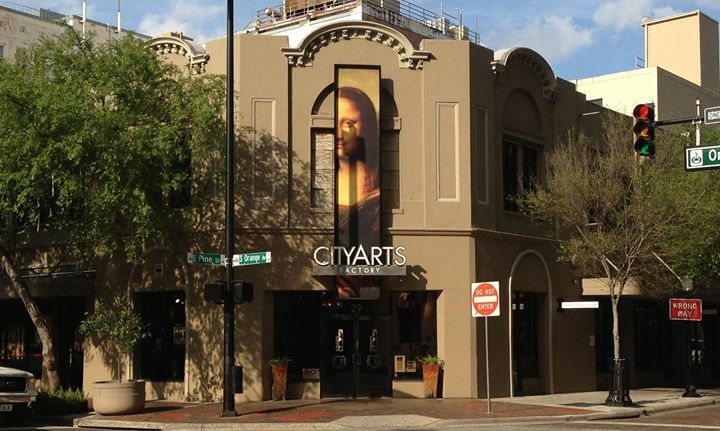 The City Arts Factory is a funky gallery collective with monthly, varied exhibitions from local & international artists. Every Third Thursday the venue hosts a FREE gallery hop premiering a new exhibit. A lush, natural landscape in Downtown Orlando perfect for everything from biking to hiking, walking, and more. Stop by and relax under the shade provided by the thick tree canopy and more. One of our favorite free attractions in Orlando is the Popcorn Flicks in The Park in Central Park, Winter Park. 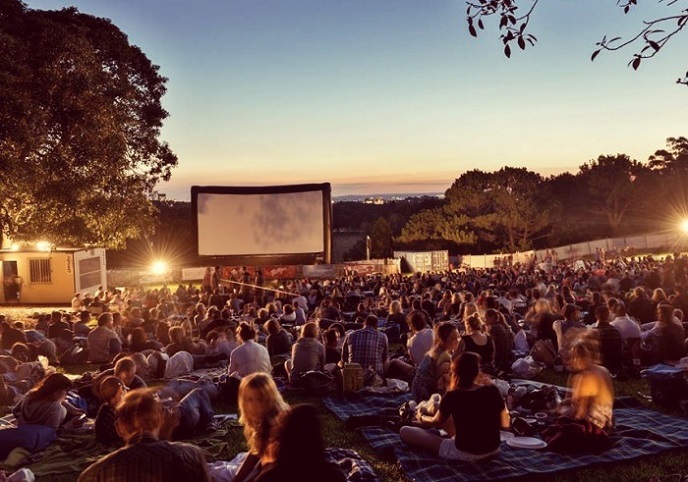 Once a month you can watch a classic film under the stars. Bring a blanket and some snacks. The kid-friendly event is FREE and open to the public. If you're towards the Sanford area, the Sanford Art Walk is a must. Every 3rd Saturday of each month you can stroll from venue to venue and enjoy a little wine, a little food and A LOT OF GREAT ART! The Sanford Art Walk is a gallery tour around town that is FREE to the public. If you'd like to partake in the wine then you'll need to pay for that experience. For more free attractions in Orlando and other things to do check out 407area.